﻿ Is the 2014 World Cup already at risk for Portugal? 20.03.2013 » Is the 2014 FIFA World Cup already at risk for Portugal? As we entered the clubs season break, attentions switched towards the 2014 World Cup qualifying matches. Cristiano Ronaldo and the Portuguese National Team will have a crucial double fixture in the upcoming days, first against Israel in Ramat Gan and lastly against Azerbeijan, in Baku. A victory against Israel would represent a big step for at least assuring a significant advantage in the run for Group F's 2nd place and ultimately keep pressuring Russia, the still undefeated group leaders. Can you imagine Portugal and Cristiano Ronaldo being left out of Brazil's 2014 World Cup? Odds are still in favor of the "Lusitanos" making to Brazil, but the surprising home draw against Northern Ireland last October, followed by the 1-0 loss in Russia, somehow triggered the sirens at the Portuguese National Team headquarters. Two consecutive wins against Azerbaijan and Luxembourg relieved a bit the pressure, but the rope is still quite tied around the neck, with 4 games played and 6 remaining. Portugal has a long history in qualifying stages of leaving all decisions for the very last moments and despite still benefiting from a narrow margin of error, a victory against Israel next Friday can turn out be to crucial in their journey to Brazil's World Cup in 2014. Since the Euro 2000, Portugal is yet to fail to qualify for a big tournament. That's a perfect record of 3 World Cups (2002, 2006, 2010) and 4 European Championships (2000, 2004, 2008, 2012), over the last 13 years. Cristiano Ronaldo has been a key figure in 5 of those and has never been kept out of the big stages during any of those Summers. Just to emphasize the contrast with the previous era, before the 2000-year mark, Portugal had only 4 presences in World Cups and European Championships combined (1966, 1984, 1986, 1996). Not accomplishing to qualify for Brazil's 2014 World Cup would surely be heartbreaking for millions of fans across the World. With Cristiano Ronaldo on his prime, it seems inconceivable to even think that he won't be making it to the 2014 World Cup, but a couple of bad results in the upcoming double fixture that Portugal has ahead, can very well turn this possibility more likely to happen. Portugal continues facing some of the same old problems. There are no world-class strikers in the roster and there seems to be a concerning lack of rising stars in the Portuguese panorama for a few years now. This team's aspirations to win a big tournament rely hugely on Cristiano Ronaldo, but anchored on 4 or 5 other players who are also capable of stepping up in the big occasions. 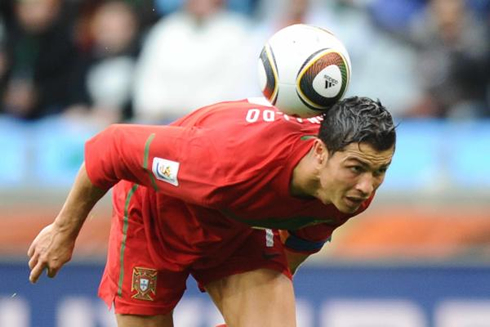 Apart from Ronaldo, Real Madrid's defenders Pepe and Fábio Coentrão, FC Porto's midfielder João Moutinho and Manchester United winger Nani, are pretty much Portugal key figures and hopes for glory in Brazil's World Cup 2014. The cast seems short indeed, but with Ronaldo on his best form ever, there are simply no reasons to not believe in winning a big tournament. Portugal goes into this Friday clash against Israel with a slight favoritism (bookies suggest odds of 1.50 for a Portuguese win), which might still be a reflection of the harsh 0-4 loss that Israel suffered at home against Russia, just last September. João Moutinho is still in doubt for this game, while Nani will certainly miss the upcoming two fixtures, after having picked a hamstring injury in Manchester United's home game roughly a week ago, against Chelsea FC at Old Trafford, for the F.A. Cup. However, it's definitely not all bad news for the Portuguese side, as Paulo Bento will be able to count with Ronaldo to lead the charge in Tel Aviv and has also called a debutant to take Nani's place: Vieirinha (27-years old), from Wolfsburg. The European qualifying stage for the 2014 World Cup is composed by 9 groups, from which only the 1st places will immediatly earn the right tp playing the final phase. What happens next is that the 8-best second places will advance for a 2-legs playoff round, in order to decide which teams will take the remaining 4 slots. While still mathematically possible, Portugal should obviously aim for the 1st place, currently taken by Russia. However, if that scenario ends up turning to be impossible, the fight for the 2nd place will most likely result on a head-to-head challenge against Israel. A victory this Friday will definitely work as some sort of insurance in that respect, especially because the Israeli will still have to play against Portugal in Portuguese home soil, on October 10, 2013. Portugal is currently tied with Israel in second place, while Russia leads Group F with a perfect record of 4 games and 4 wins. Be sure you won't miss any of the action by visiting our Portugal live streaming page and picking a link to watch the games, as they will be published a few minutes before the events start. Cristiano Ronaldo next game for Real Madrid will be against Real Zaragoza, on March 30, 2013, for La Liga. In the meanwhile, Ronaldo will play for Portugal, against Israel, next Friday (March 22). You can watch Juventus live stream, Israel vs Portugal, Spain vs Finland, San Marino vs England and Brazil vs Italy, all matches provided from our football live streams section.